I am trying to decide how honest to be. I guess I don't have much to lose and so far nothing but kindness has come from you all. So thank you. And sorry...and if you have something nasty to say, can you please wait a few more weeks? Thanks. But let's talk about the kid first, I mean he is the reason behind all this madness. Cool life events: Could [hopefully] have hair! Dropped and is "ready to go," causing abrupt bathroom runs. He has a room that is nearly finished! I have a few more details to put together and then I will show you, don't even worry. Some of those nasty pregnancy things happened to me. This week. My feet are killing me, I feel like a whale, my tail bone hurts all the time and I have 'lightning crotch.' He dropped. Fast [I felt the clink in my pelvis]. He shredded my tummy and now my once perfect, beautiful belly is rank with ugly stretch marks, despite my devoted efforts to prevent such an event. I am just not letting myself think about getting into a swimsuit right now. Oh yeah...right now I have a deep and true hatred for any female that has a waist. I cry at nothing and everything and am always hungry. It takes all my courage to out in public. I fake smile when people run up to me bouncing up and down asking if I am "SO excited?!?!?" No. I am grumpy. The comforting words of 'you can't imagine how PAINFUL childbirth is' echo in the back of my mind as I stop and breathe though contractions. I hate not being ready for things and "you can't prepare yourself for such pain" is always there to comfort me. I tell myself that other girls [who I think are much wimpier then I] did it. I try to kick into my competitive mode...but that seems to have left. I don't even remember how it feels to be competitive...until I see a 4 walking down the street, giving me a pity look. Then I want to pound her face in. And rip out her hair too. Or eat a taco. My poor, sweet husband. Luckily he is taking it all in good humor and will burst out laughing at me when I am overly insane. He gives me permission to cry and even say's it's 'good' to be hormonal [haha]. I am hard to live with these days and feel bad. But then. THEN I remember that he is the one who got me into this in the first place and I don't feel bad. At all. Yes. I keep his little socks and diapers in view. It helps to think about his little bum. I can still wear all my shoes and wedding ring...I guess that is impressive, at least that is what people say. Yeah. Mostly because I don't know what is going to happen. In general pain does not freak me out. Not being ready does. Do you think you will have him this week? Will you have a birth photographer? No. That is weird to me. My sister will come take some photos soon after he is born. Who will be in the room when he comes out? I am refusing checks. I don't want to know. This is a mental trip and not knowing gives me more chance of living as well and normally as I can. He will come and I want it to be when he and my body are ready. I am preparing myself for 2 weeks late. Despite the bed rest scare. Please post GOOD birth stories or 'it was not as bad as I thought it would be' comments! I would love them and I know of a few expecting mum readers who would find them encouraging too! It was SO not as bad as I thought it was going to be. Even though everyone had said first labors are long, Ahren was born less than 7 hours after my first, "Was that a real contraction?" thought. Trusting that God designed my body to do this and that my body knew what it should do gave me confidence. The whole experience was very confidence-building to me as a mother. I can also relate to being mad at everyone. Ahren was two weeks late and I stopped leaving the house or going on Facebook because I was tired of hearing people say, "No baby yet?" Don't know why it bothered me so much, but it sure did! I've enjoyed reading your updates. Be encouraged! You can totally do this! 2. I did my best to not have expectations about labor, and I'm so glad. I couldn't have imagined it anyway, so why try? 3. Those hours you are in labor actually seem to go by fast. My labor was *only* 8 hours, but it felt like 3. And guess what? No matter what those hours are like, they still go by and will be in the past before you know it. You'll have the most perfect little human man laying across your chest, and It. Is. Amazing. I love you! Hurray for babies! I had a wonderful first birth experience! I did a water birth which I really enjoyed and I highly recommend even if you only use it to labor in. My husband like yours, read the Husband Coached Childbirth by Dr. Bradly. He was wonderful all through my labor helping me to relaxing and focus on breathing.. I think a big key is to practice, practice, practice before hand relaxing, then when labor comes on it'll be easier for you because you prepared in advance. Encourage your hubby to be right there by you leading you, and helping you through each contraction. I know that I couldn't have done it without my wonderful man. You can do it Jocelyn! I am thinking about you and praying for you! It seems like everybody here at camp is having babies....I just went to the hospital yesterday to visit the newest one. She's so pretty, and the first girl in the family after 4 boys. Momma looked great, and had a longer than normal labor, but she said it was the easiest. Just three pushes and she was out. You can do this! I've been thinking of you so much, and praying for you!!! I bless you with strength during your labour and grace to live through the next (few) weeks. In those last moments of pregnancy/labor, remember that Jesus is right there by your side, and that He is holding your hand!!! He will give you everything you need to be able to bring this little life into the world. 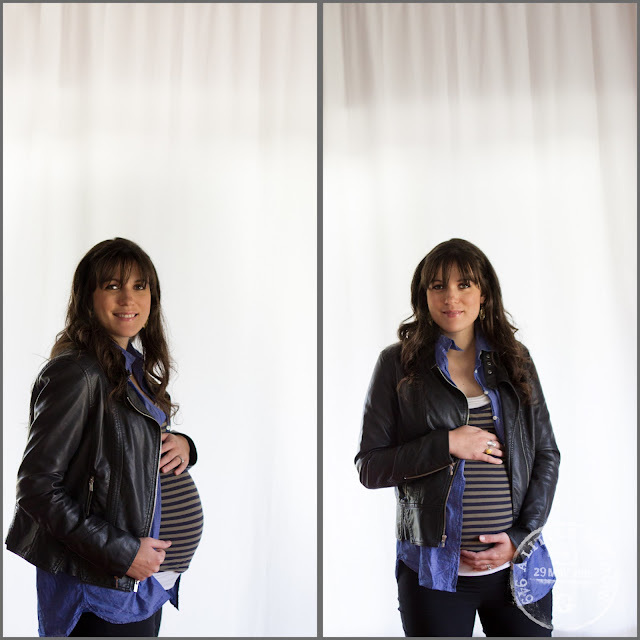 You are so beautiful--inside and out, and will be a wonderful mom. I am so proud of you!!! You haven't done anything in vain. My best advice is remember to BREATHE, remember to PRAY, remember to LAUGH or CRY (like Rowan said, you don't have to hold your emotions in...it is good to express it--in balance), remember to keep hydrated and nourished. I just want to say that I have been following your blog the last few months. I'm a friend of Rowan's sister Elise. I am 14 weeks along and have loved hearing how your pregnancy is going. I am hoping to use the Bradley method for my delivery. Thank you for your honesty and openness, it has really helped me to see both the good and the hard things about pregnancy! You will do amazing. For me I wanted to remember every moment just like my wedding day...it was not hard to do :) Labor honestly did not go as we had "planned" for our first (or 2nd or 3rd or 4th) but knowing that God is in control of it all made the unexpected still joyous and awe inspiring. Savor the moments...I can still remember when I saw my daughter (our 1st) for the first time I just drank it all in as she just looked around the room with her huge eyes and held her head high (she was born able to hold her head up on her own) it was like she was saying "Im here!" and I laughed, because I was so happy..I thought I would cry, but no I laughed out of sheer joy of having the blessing of becoming a momma for the very first time. Blessings to you as you will soon be there too! p.s. To Rowan, you are going to be a totally awesome dad too! !